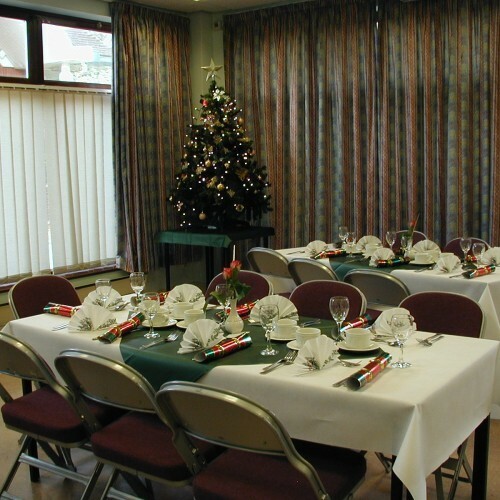 The Civic Centre is situated in the centre of Uckfield. 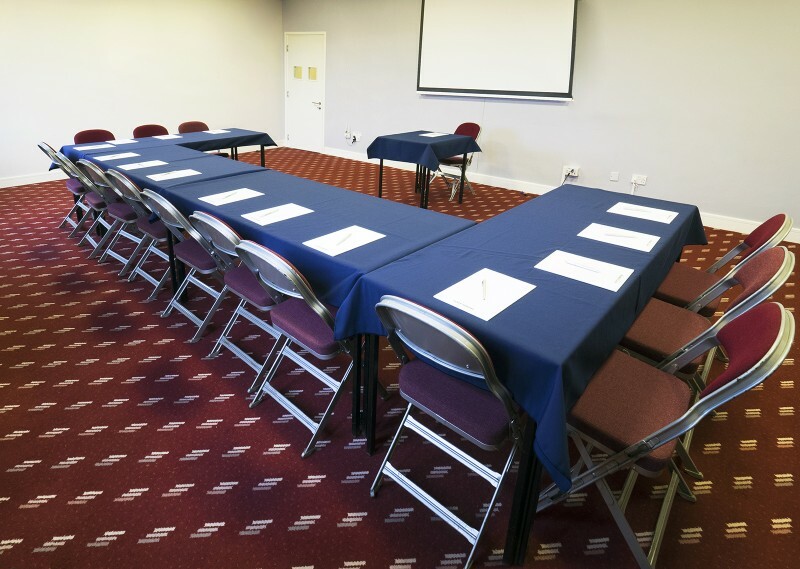 It has seven function rooms that are available to hire. 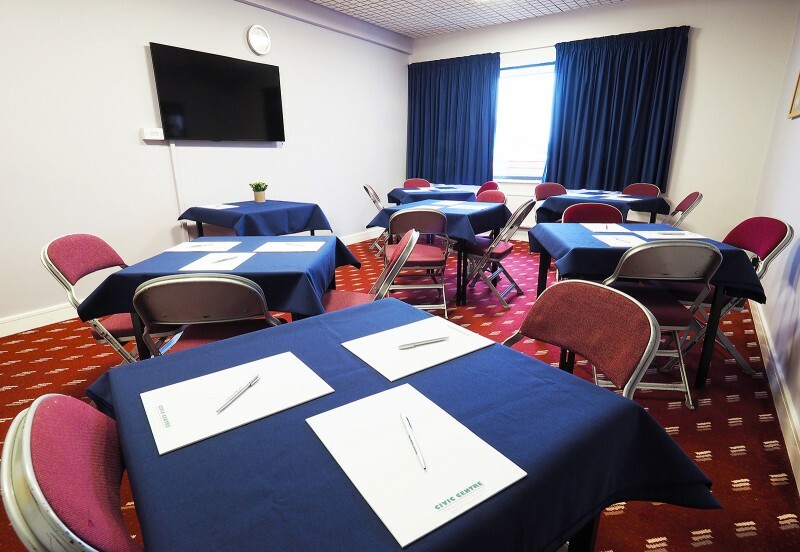 The rooms range in size from the Mayors Parlour which is suitable for a small meeting of up to 10 people to the Weald Hall which will seat 300 people theatre style. 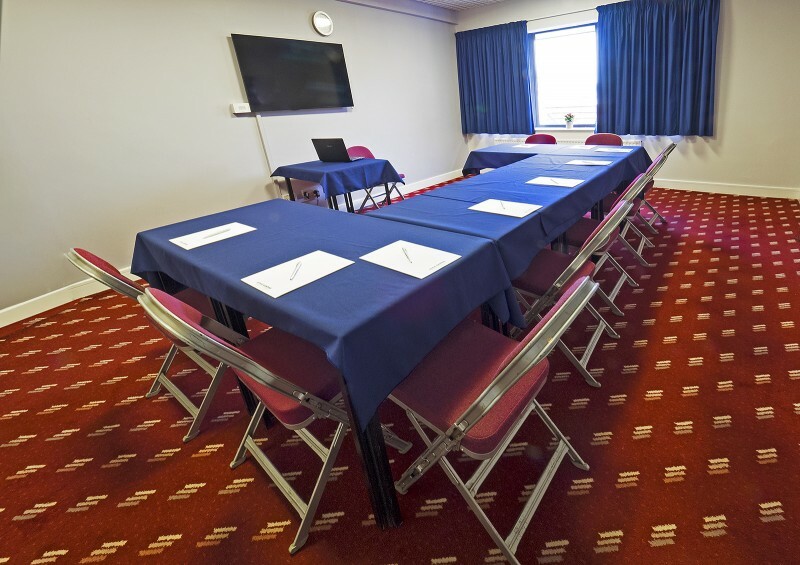 The rooms are suitable for meetings, conference, parties and weddings to name but a few.If you are looking for a versatile, reasonably priced meeting room or day conference facility in the centre of Sussex, the Civic Centre Uckfield is the answer. 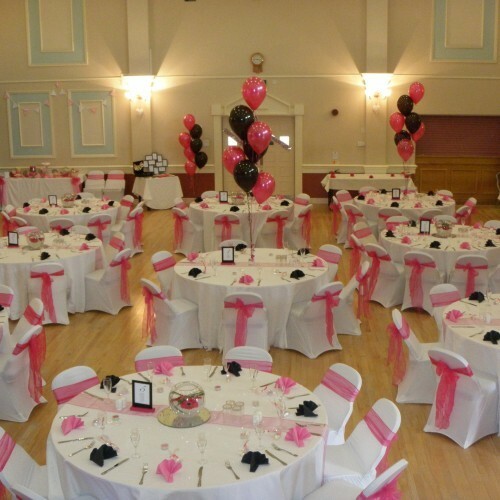 Situated in the centre of town, with parking nearby, and both a mainline train station and bus station within easy walking distance, the Civic Centre hires out a number of rooms which can be used for a wide variety of functions including meetings, interviews, exams, training, demonstrations, club gatherings, talks, private parties, presentations, dinners, exhibitions, conferences, shows and much more. 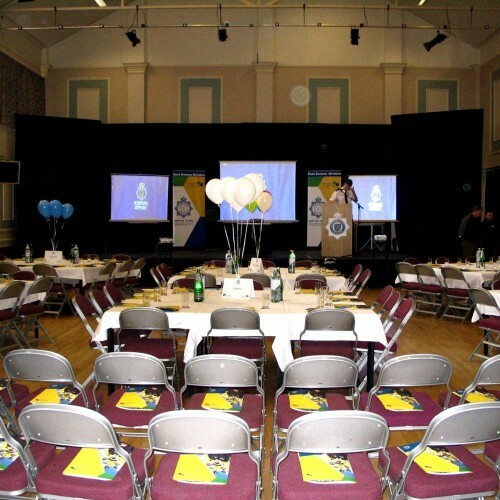 Whether you need a small private room, a larger room or a fully equipped hall for presentations and award dinners – we can accommodate them at the Civic Centre. 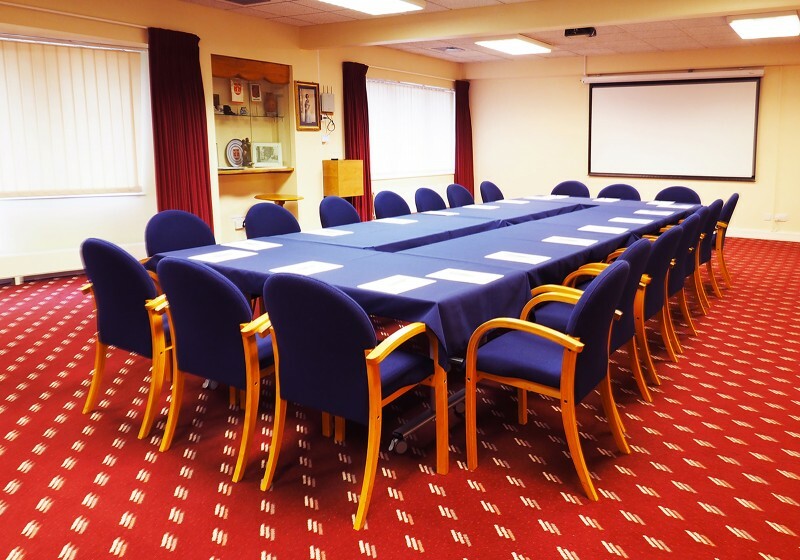 Availability: The Civic Centre is normally open at 8.00am to facilitate hirers’ access but closing times vary according to room bookings and events. 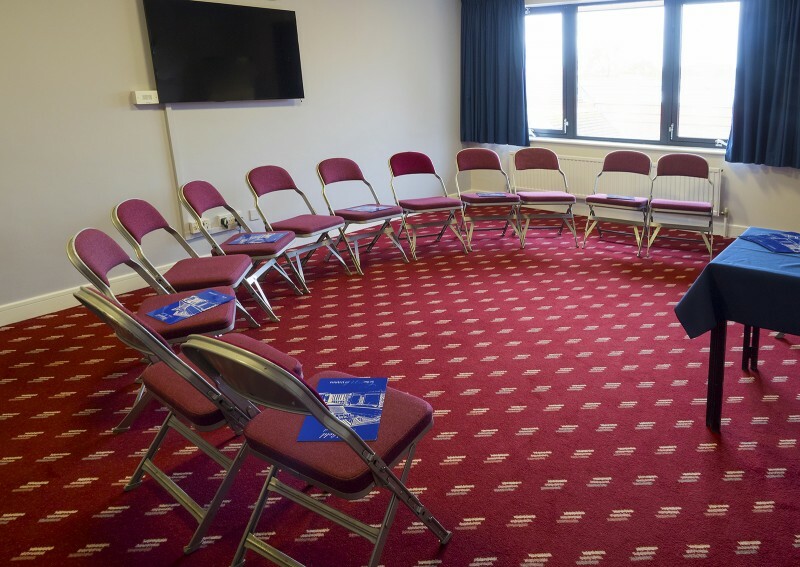 The building is open to the public as part of the Wealden Community Toilet Scheme Monday – Saturday from 9.00am to 5.00pm. 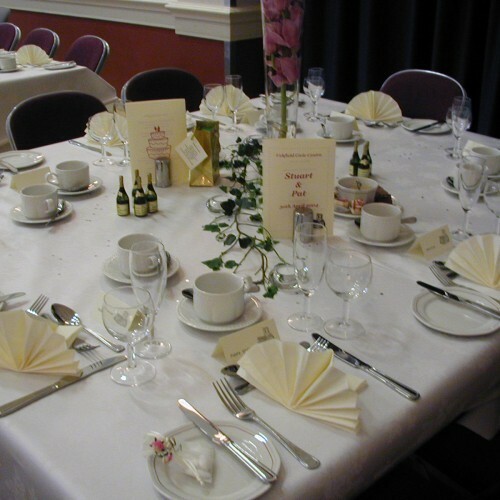 Luxfords Restaurant is open 9.30am – 3.00pm, Monday to Saturday and by arrangement for specific events. 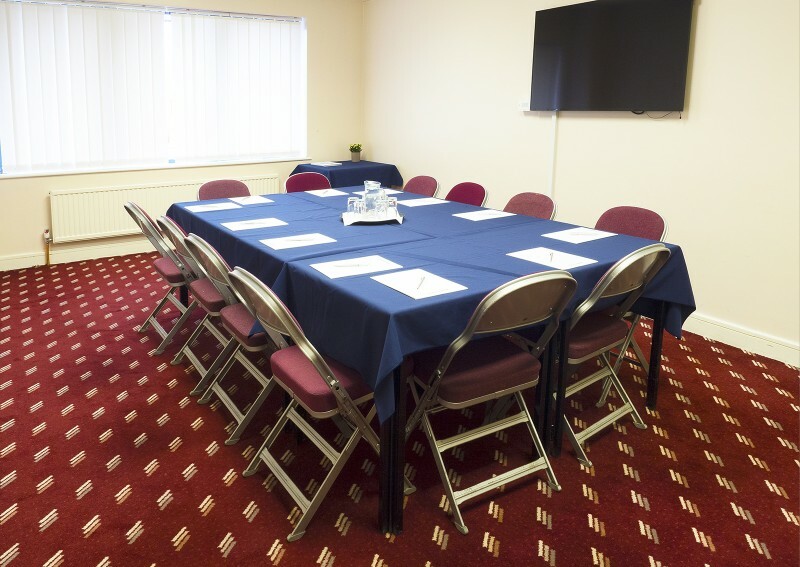 Hire Costs: Hourly rates start from £9.00 plus VAT for our smallest room. There have been 0 reviews of The Civic Centre. 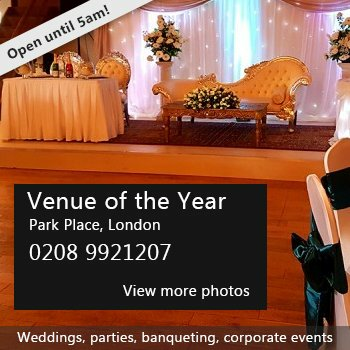 If you would like to send The Civic Centre a booking enquiry, please fill in the form below and click 'send'. Perhaps some of the following halls within 5 miles of The Civic Centre would also be of interest?